Above: Doom anniversary attendees Tom Hall, John Romero, and Dave Taylor. Doom was the beginning of so many things. When it debuted December 1993, it cemented the appeal of the first-person shooter computer game and spawned a genre that is now a multibillion-dollar business. John Romero, who still has rock star-length hair, was a big part of its success as a co-founder of id Software, the Dallas-area company that is now owned by Bethesda Softworks. Above: Doom 20th anniversary celebration invite. Romero, now the creative director of the University of California at Santa Cruz’s game design program, celebrated the game’s 20th anniversary at an event at the university’s Digital Arts Research Center. He and his wife, Brenda Romero (the program director at USSC), marked the anniversary with multiplayer “deathmatch” sessions, a little bit of trash talk, and some academic chatter about the violent and bloody game. It seemed so strange to see Romero and his fellow game creators — including former id developers Tom Hall (pictured top, left) and Dave Taylor (pictured at top, right)– being honored at a university for creating a game that caught so much criticism for its shotgun-chainsaw-big-f**ing-gun violence, Satanic imagery, and, worst of all, its assassination of productivity around the world in offices that had networked computers. Henry Lowood, a professor at Stanford University, said that it gets credit for so many innovations — from multiplayer play to modding — that Doom should be known as the “beginning of the modern digital game.” Minecraft creator Markus Persson praised Doom for getting him into games. He said that the 1993 press release announcing Doom was the first time that anyone mentioned the phrase “Doom engine.” John Carmack, id co-founder and its top technologist, had coined the term to separate the underlying technology from the game. It turned out to be a lasting legacy, as companies like id and Epic Games licensed their reusable technology so that game designers could focus on their games, not tech. Id Software and Doom also galvanized the community of indie gamers, as the team supported a more open and less greedy approach toward community. Romero left id Software to start his own company, Ion Storm, which imploded after raising high expectations. Romero hasn’t always succeeded, but he has always been at the forefront of innovation in the industry, working on massively multiplayer online games, mobile titles, and Facebook games. I caught up with him at the anniversary event. We played Doom and Doom II on networked computers, and we caught up with the old timers who came to honor the anniversary. Romero proved that he’s still brutal in multiplayer combat. Here’s a transcript of our interview with Romero. GamesBeat: This must bring back some interesting memories. What’s at the forefront of your mind, having this kind of evening here? GamesBeat: What do you say when people ask you for the quick “What’s the legacy of Doom? What’s the cultural impact of Doom?” It would make my head hurt. Romero: Geez. The first-person shooter genre. Video game violence. Multiplayer. Maybe e-sports. The game engine. Modifying games. The mod community, which is where Portal and Team Fortress and Counter-Strike and all these other huge franchises came from. GamesBeat: Maybe even Call of Duty or Minecraft. Romero: Yeah. In fact, Markus Persson got into games was because of Doom. It’s funny. I’m obviously not going to take credit for it, but basically Doom led to DirectX, which is what every game that runs on Windows uses now. At Microsoft, they saw Doom, and they immediately said, “We need to make something so every developer can do that. We need to create an API for everyone.” That’s when the DirectX 1.0 project was started. GamesBeat: What’s some of your favorite Doom trivia? Romero: I’ve been putting a bunch of trivia up here on the screen, like the original names of characters. The Baron of Hell was originally called Bruiser. We had two of them at the end of episode one. We called them the Bruiser Brothers. 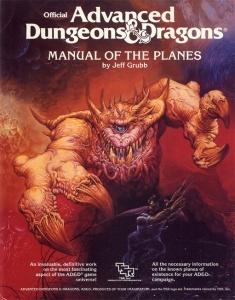 The Cacodemon was taken from the Manual of the Planes, the cover of the old D&D sourcebook. The sky in episode one was taken from a photo book of some really nice scenes from China, when it was overcast. The Arch-Vile in Doom II was a character that resurrected all the dead demons that you killed. We called him the Medic originally. Romero: Basically, after Wolfenstein, we had to make something that was even more out there. We had to one-up ourselves. I’ve been showing videos of Brutal Doom, which is way over-the-top violence, but if you play the original, it really wasn’t crazy over the top, blood all over the walls. There was enough blood that you knew that you hurt something, but it wasn’t way over-the-top gratuitous. We were trying to be a little realistic with how much violence we put on the screen, but it was still—at the time it felt like it was extreme. But we knew that when we put it in there, it wasn’t too over the top. It wasn’t too crazy. We were just trying to be more realistic, even if it did go further than, say, Wolfenstein. We weren’t trying to do that to shock people. It was just like, “This is what happens when you shoot a rocket at something.” I want to get that feedback as a player. GamesBeat: Did you know you would offend people? Was it a countercultural thing? Romero: No. We never made our games to offend people or shock people. We made games for ourselves. When we started Doom, it was really the first time that we knew we could make something great, after Wolfenstein. At the beginning of Doom, we said, “We need to make the greatest game that we could ever play.” Whatever we could imagine that would be the best thing we could play, we wanted to make that game. It was the only time we had that kind of statement of what we would do. Everything else was, “Yeah, let’s make this game and see what it turns into. Oh, that’s cool. Right, game’s done.” But with Doom, this was what we were going to try to do. We had a goal around that. It was about making the best game we’d ever played in our lives. All of our focus was on that. It had nothing to do with anything outside the company. We didn’t care what other people thought, because we felt like our prior successes told us that if we made whatever we felt was really cool, there would probably be a lot of people that would like what we thought was cool. We weren’t worried about anything else. We weren’t worried about offensive stuff, because that would stop us from making what we were trying to make. As artists, we’re trying to be true to our vision.